Developer Capybara - known for Sword & Sworcery and Super Time Force - has announced that the expected release date for Below has been pushed back to 2016. The game was originally expected to release before the end of 2015 for PC and Xbox One. 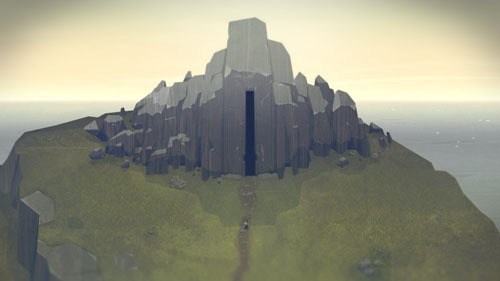 In Below, you play a lone character who heads out into a dangerous world with a sword and shield to battle his way deeper and deeper into the unknown. While you will be able to acquire new weapons, you will be very limited in what you can carry, which forces players to learn the combat system in order to survive. The game features realtime combat and random environments, and it is meant to be very challenging. Death will come frequently, and is permanent per roguelike standards, but you will learn more about how to survive on your future runs and go even deeper. The game is built primarily around single-screen dungeons where your player character is very small and surrounded by darkness. The talented Jim Guthrie (Sword & Sworcery, Indie Game: The Movie) returns to compose the music for the game.